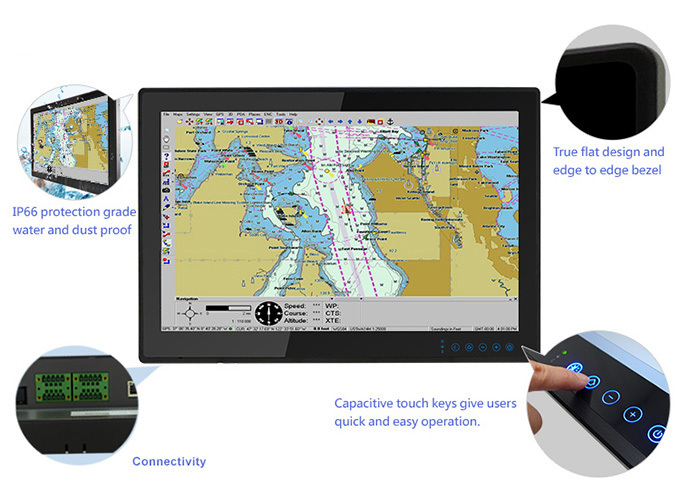 Built For Maritime and Naval Deployment – The Winmate Marine Panel PC and Display offer flexibility, available in screen sizes ranging from 19", 24", and 26". Also built to survive shock, liquids, extreme temperatures, vibration, dust, and salt,Winmate’s Marine products are ready to go to work in harsh environments. Easy to maintain and clean. The flat design provides a great protection and reduces the gap for possible accumulation of dust and liquid. True flat design also gives a slim and elegant appearance to the device. The Winmate Marine Displays and Panel PCs are also adjustable to day, dusk or night mode to accommodate for any lighting situation. 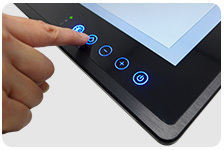 In the ECDIS-color calibrated model, these quick function keys allow instant brightness adjustment to any of the three modes. Winmate also provides an RGB color table. 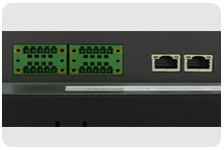 Onboard connectivity consist of Ethernet LAN, two USB 2.0, one USB 3.0, HDMI, optional 4-channel isolated digital input and output, optional four COM ports (meet the NMEA 0183 National Marine Electronics Association physical layer standard)-RS232/422/485 switchable via software. IACS-E 10, IEC 60945 4th Edition). 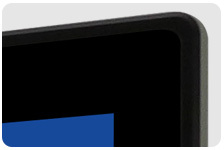 Powered by the Intel Celeron Bay Trail-M N2930 1.83 GHz, the Winmate Marine Grade Panel PC also comes standard with 4GB of RAM in a DDR3L-1066 SODIMM slot for rapid, reliable processing. Power is 9-36 V DC-in with 1.5kV isolation and 75-to-80db buzzer is also available. *Note: All certifications mentioned in this newsletter are still ongoing.